Your search for Colorado meeting facilities in front range cities just got easier. Our comprehensive directory can help you pinpoint and contact facilities and venues who offer space to host your meetings in Colorado, no matter how big or how small. 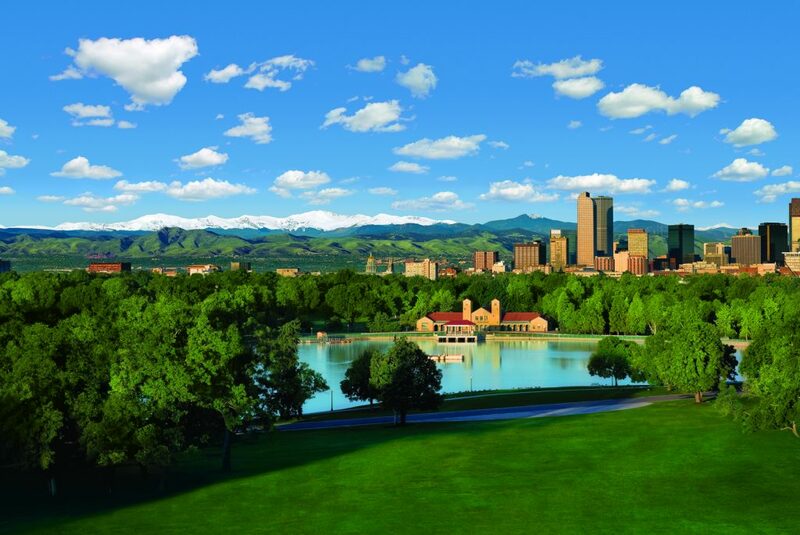 From executive meetings for just a few people to convention centers capable of handling hundreds of participants, there are plenty of metro and city locations to choose for Colorado meetings. Major front range cities include metro Denver, Boulder, Colorado Springs and Estes Park. Out on the Western Slope you will find the cities of Grand Junction, Glenwood Springs and Durango as well. Denver is generally the first place people think of when they talk about setting up a Front Range Colorado meeting. The Denver International Airport (DIA) is a major intercontinental hub that is conveniently located so you don’t have to travel far to reach your hotel and meeting venue. Aurora is a larger front range city that’s also well-positioned for Colorado meetings. The city is also convenient to DIA. While Aurora is not always the first place people think of when they think of Colorado, it is certainly a city worth putting into your calendar. Golden, Colorado might be situated close to Denver, but has a small town feel to it in the foothills of the Rockies. With this location, you can hold meetings and easily travel into Denver for activities. Boulder or Colorado Springs are other potential sites to consider. Boulder is about an hour North of Denver while Colorado Springs is a little more than an hour South of Denver. You might find yourself becoming more inspired in these smaller cities than in any other. Both are located in the foothills of the Rockies. It is easy to get into the mountains for aprés meeting activities and events from these metro Colorado meeting cities. Out West, Grand Junction is a hub of activity drawing people from all around the region. Durango is a wonderful western city in the Southern part of the state that holds a lot of potential for a prospective meeting plan. Glenwood Springs is home to the world’s largest hot springs pool and is located about half way between the resorts of Vail and Aspen. No matter the reason or the season for your Colorado meeting, you can find the facilities you need in these metro areas. When sticking to larger cities, you will be able to have a convenient location for all to attend. The Centennial State welcomes metro business meeting planners near and far to experience meetings in it’s cities.